Last week we told the story of a very special, actually unique car, the Popemobile. Today we're talking about a more "common" model, Fiat Croma. Fiat is one of those brands that most of us love to hate, but back in the late 80's Croma had a large audience of admirers. So let's go back in time, to tell the story of the model produced from 1985 to 1996. Created to replace Fiat Argenta, Croma was born from a joint project that will also give birth to Lancia Thema, Saab 9000 and Alfa Romeo 164. The design was penned by Fiat Style Center in partnership with Giugiaro and featured a nose characterised by a large bonnet and a rear-end with a generously-sized window. At launch in 1985, is available in six different engines: four petrol units and two diesels. The petrol engine line-up comprised of a 1.6-litre with 83 HP and a 2.0-litre with 90-horsepower. In addition, there were available the i.e. 2.0-litre with 120 HP and the i.e. 2.0-litre Turbo with 155 HP. The diesel engine range included a 2.5-litre with 75 HP and a 2.5-litre Turbo with 100 HP. All Croma featured MacPherson strut suspension, five-speed manual transmission and discs braking system on all four wheels. 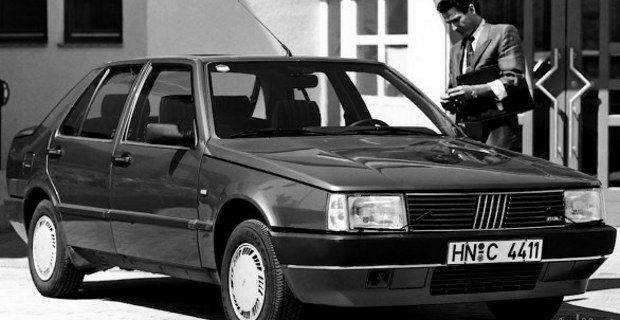 The first important changes take place in 1986, when Croma Turbo D i.d. comes out; it is the first car in the world that boasts a diesel engine with a turbocharger with direct injection. The vehicle is equipped with a four-cylinder 1929 cc engine with Bosch fuel injection pump, and produces an output of 92 HP. The following year Croma undergoes a slight revision of the aesthetics, which specifically relate to the front grille and tail-lights as well as introducing new fabrics for the interior. In 1989 Fiat revises both the CHT 2.0 petrol and the 2.5 Turbodiesel engines: the first unit gets an update to gain 8 HP while the diesel version adopts a totally renewed 2.5-litre engine with maximum output of 116 HP. A few months later two new variants were unveiled, the 2.0-litre automatic with four-speed automatic transmission, and the 2.0 catalysed version with 116 HP. In 1991 Fiat Croma receives a major facelift in its front part: the grille, front lights, bumpers and bonnet are restyled. Inside the dashboard is redesigned. A year later, in 1992, the 2.0 i.e. S is unveiled and the following year is the turn of the 2.0-litre 16v with 137 HP. 1993 marked the début of the 2.5-litre V6, a car equipped with a 2492 cc engine (sourced from Alfa Romeo) with output of 159 HP, which accelerates from 0 to 100 km / h in just over eight seconds, reaching a top speed of more than 210 km / h.
The latest Turbodiesel version is equipped with variable geometry turbocharger. Towards the end of its career Croma gets only some minor body restyling to update the look. In December 1996 Fiat ceases production of the Croma.